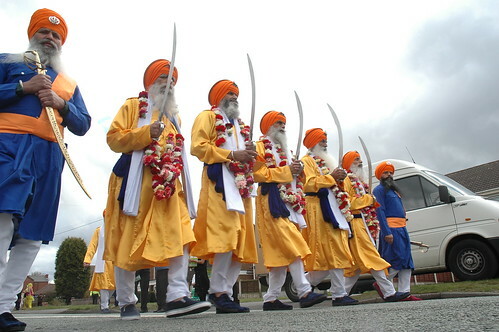 This weekend marks one of the most important days of the year for the Sikh community; its Vaisakhi. Vaisakhi is a harvest festival for the people of Punjab, where farmers pay tribute and take time to thank God for their harvest while also praying for good fortune for the coming year. So to celebrate, every year thousands of Sikhs gather for the parade, there is lots of food, dancing, prayer and everyone is welcome. 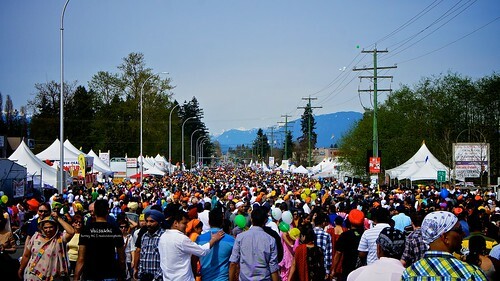 The biggest Vaisakhi parades outside of India happen right here in our backyard, with Surrey’s parade attracting over half a million people last year and the same if not more will be expected this year. 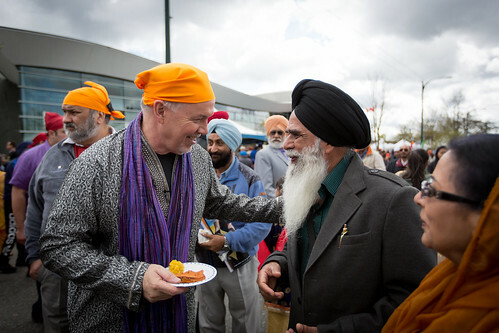 With the Sikh community large and still growing in BC, Vaisakhi is a parade that has become something everyone can enjoy regardless of religion or race. Yes, a sacred holiday, celebrated by millions was compared to Halloween, a day where kids walk around receiving candy. Now while I’m not super educated on the history of Halloween, I know enough to be offended by this comparison. The writer of this article highlights Halloween because of all the food that is given out, but what they may not have known is that at temples we have something called Langar. Langar is a meal and it’s given to anyone who visits the temple, regardless of race, gender or social class. Everyone eats together and everyone also has the opportunity to serve the food because equality is practiced in the Sikh religion. The same goes for Vaisakhi, while we may be outside on the street, Sikh people still make the effort to make food, chai and snacks for those who are out to celebrate. In fact there are many people who are not Sikh that come out solely to enjoy the good food that is shared at the festival and they are never turned away. Comparing the festival to Halloween wasn’t the only thing about this article that caught my attention in the wrong way. The writer then goes on to describe the pretty cherry blossom trees that happen to be on the route for this years parade in Vancouver. The line reads “One of the best places to see the cherry blossoms at their best is during the Vancouver parade route”. So instead of talking about the importance of Vaisakhi or the history or the rich culture, he instead decides the focus on something else that’s happening that day, which in my opinion kind of discredits the Sikh festival making it seem less important. The title of the article is 5 things you need to know about the Metro Vancouver Vaisakhi Parade and this writer could have written about many different things that would have honored the Sikh community, instead he chooses facts like the route the parade takes and the fact that it’s the largest single-day festival. While talking with some friends about the article, one of my friends referred to the article as “tone deaf” and I think that pinpoints it. The writer mentions it’s an important festival once and then goes on to talk about how traffic is really bad and for the people trying to get around to take transit. They aren’t really taking into consideration that Vaisakhi is a big deal to many Sikhs around the world, it’s not just about the traffic and eating. All in all, I was very disappointed while reading about something that is hugely celebrated in my culture and has been celebrated here in BC for years. You would think Vaisakhi would be a well known about event but I guess we’ll have to wait and see what the articles next year will say about it. Here’s hoping. 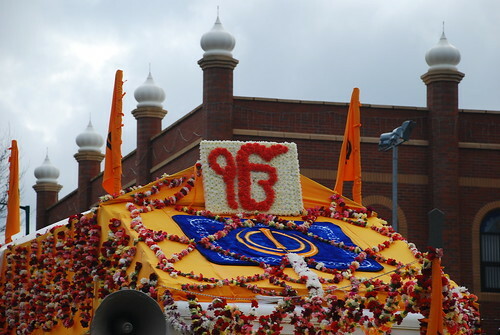 This entry was posted in Culture Connection, Entertainment and tagged celebrate, culture, Festival, food, halloween, harvest, holiday, Khalsa, parade, Sikh, Sikhism, tonedeaf, Vaisakhi by Amara Hundal. Bookmark the permalink.